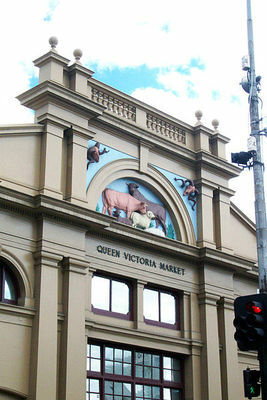 Read nearly every tourist guide book or travelogue on Melbourne and you'll surely find references to the Queen Victoria Market. Victoria's premier open-air market with its rich history, Old World design, clean and orderly stalls, assortment of fresh produce, quaint specialty shops, bargain merchandise, tasty feed on premise, and top-notch marketing has continued to engage millions of visitors annually while serving Melburnians tirelessly since 20 March 1878. As I found on my first date with the Market or QVM as I fondly refer to in short, is more than just a 130 year old structure. First time visitors may be surprised to find that half a day is easily consumed in traversing QVM and taking in all the sights, sounds, scents and shopping. Think of a single level shopping centre divided into separate covered sections with fruits and vegetables, meats and seafood, delicatessen, food court, general merchandise, souvenirs and framed by street shops. Then add in a full-body exercise routine spread over 7 hectares of the largest open air market in the southern hemisphere. If you are constraint by time or a fan of the Amazing Race television program, a quick way to appreciate the Market is to hop on a Market Tour. History buffs can choose to relive over 130 years of QVM's colourful history in one and the half hours. 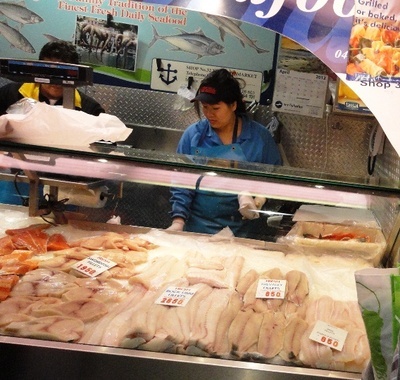 Foodies get 2 hours of honing their produce selection skills and tasting some of QVM's culinary delights. Cookies* get the ultimate thrill of shopping and cooking in 2 and the half hours. (*If folks who love food are foodies, will folks who enjoy cooking be cookies?). These guided tours can be booked online. If you are a MasterChef Australia or MyKitchenRules enthusiast and two and the half hours of the cooking tour is not enough, then enrol yourself into The Electrolux Cooking School in QVM. Sponsored by Australia's only major whitegoods manufacturer which employs about 1,000 Australians, the School combines QVM's fresh produce with the culinary art of top local chefs in Autumn and Winter programmes that will surely whet your appetite. I might try being cheeky and ask the Australia Managing Director of Electrolux, John Brown, to sponsor me for a masterclass or two. QVM can get very busy over the weekends with out-of-town visitors and city dwellers, and Sunday being the most popular day for families and bargain hunting. 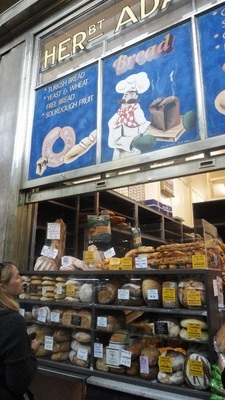 I reckon the best times to visit this historic landmark are the weekday mornings where you still get all the buy/sell action minus the shoppers jostling for the fresh catches and deli sandwiches, hawking over samples, reckless trolley driving and posing for perfect pictures. Staying in the CBD whenever I'm in Melbourne means I can take a leisurely stroll to QVM but friends further afield can easily catch tram number 55, 57, 50, 19 and 59 alighting outside the property. In planning your visit, it is important to note that the Market takes a much-needed break from you and I on Mondays and Wednesdays. 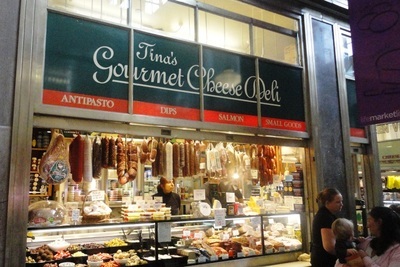 As I take in the sights while meandering through QVM, something in the back of my mind tells me that this favoured Melbourne institution has a lot more to offer. Perhaps a second or third date will reveal secrets waiting to be discovered.